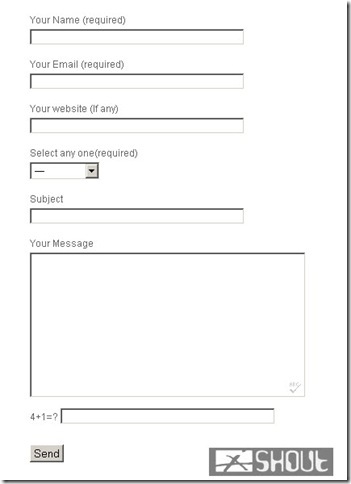 Ultimate wordpress contact forms for your Rocking Blog! 2 best contact form you need to try! All website most have contact form and about us page. In the same way yesterday I also tried to implement those pages in my site. I started searching for good contact form to add to my site. Previously I’m using kontactr contact form after thinking a lot I thought it is not a good for WordPress blog because we are having lot of good plugin which are available with some extra function. So now I’m going to list those best two plugin to make contact form in WordPress blog. This is my favorite one, now I am currently using this contact form on my blog. This plugin helps to make a customized contact form according to your choice. 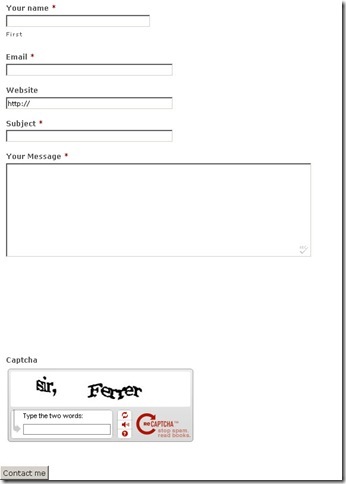 But using this contact form or customizing this contact form 7 is little bit critical for newbie. If have trouble in using this plugin you can refer developer website for how to use tips and guide. 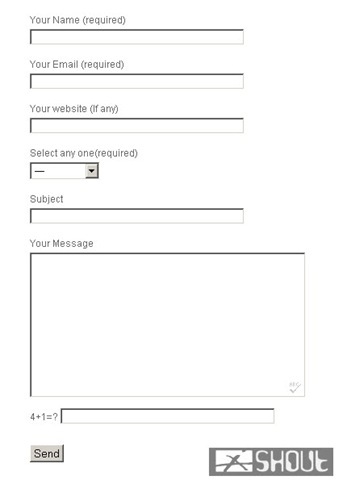 A simple contact form for your site. If you need only a contact form, then you can use this plugin. It doesn’t have any option to customization as seen in contact form 7, but it contains some necessary option in the contact form. The one thing I like in this plugin is really easy to use (compared to contact form 7). You can start using this contact form by embed it in a post or page by writing the shortcode [wpcf]. Shows referer information for the person contacting you. Option for user to send himself a copy of the message. Do you know any other contact form other than these contact form which you feel really good? If you’re already using these plugin then what you feel about these plugins? I am using Contact Form 7 for my blog and its working fine with me 🙂 . whtat’s u r opinion ?? Gopal, I’m using contact form 7 from long days back, In fact firstly I used kontactr to my site after reading few post on branding I forced to change contact form 7. I haven’t notified any changes on my blog loading speed. It is better to go for contact form 7, because it gives some professional look to your blog.